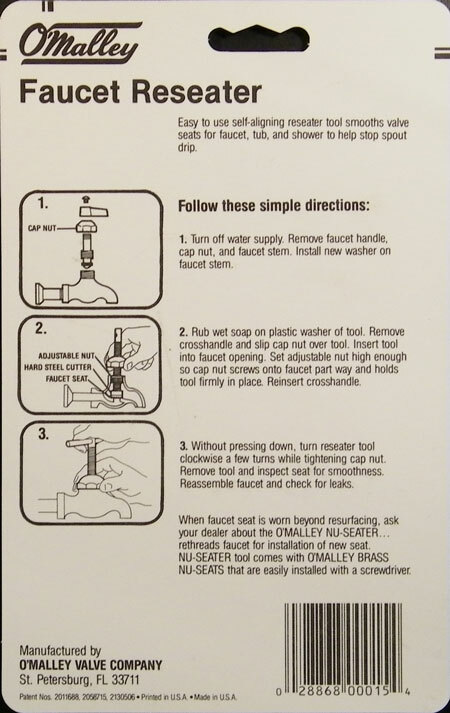 Since the 1930's the O'Malley Valve Co. has been manufacturing the Drip Stopper, enabling millions of satisfied customers to save on expensive plumbing bills. 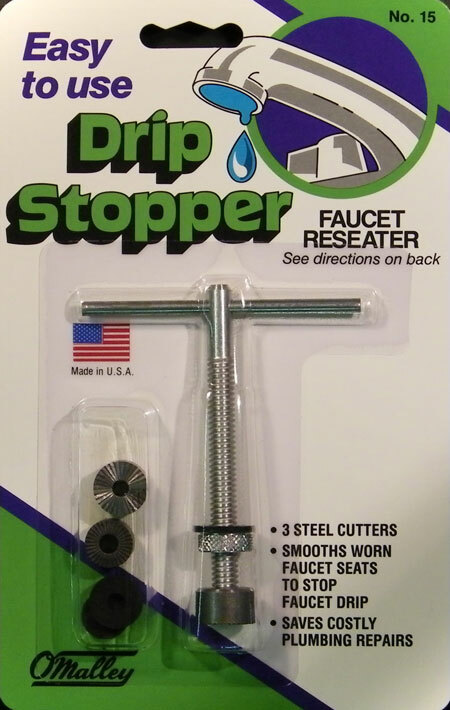 The Drip Stopper is available in many configurations including a short stem designed for regular and outdoor faucets, and a long stem version designed for shower handle faucets. Both versions are available with an innovative guide cone to ensure the faucet seat will be ground perfectly flat. Its functional design and individually cut steel cutters will enable your customers to repair their faucets in one quick and easy operation. 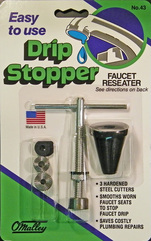 Included with every Drip Stopper kit are two faucet washers and various sizes of hardened steel cutters. We are also a major supplier to many large distributors for private label and low cost mail order packaging (multi packs) of Drip Stoppers. Call us at 800-593-0004 to discuss your private label and mail order warehouse needs.